Feel free to support the game by spreading the word or donating if you enjoyed it. A simple game that does not take itself seriously at all! 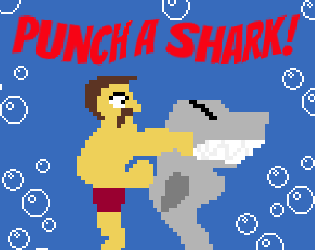 "Punch A Shark!" was developed in 48 hours during Ludum Dare's Mini LD: "Sharkjam". Chek here: siactro.com/ for more information about me and my games!